That ending screen taken out of context tells you absolutely nothing about Wario Land 4! I'm just before Golden Diva with every CD collected. I also got all 18 gold crowns which subsequently unlocked the 17th CD. Will give impressions later on once I rob her of all her stuff. I find nabbing the gold crowns to be pretty easy. Ironically, I think it was the very first stage that gave me the most trouble. It took me a while to figure out how to reach the score. I always forget how to do it, despite having played through the game numerous times. Oh yeah, the first stage is definitely the only one that should give people trouble. 10,000 coins is a near perfect score there. And there's a very well hidden Diamond in that level that's required. Trying to get that score on all the levels on Super Hard is where it gets difficult. A lot of the diamonds are replaced by Chests instead, halving their value. Not to mention the incredibly strict time limits leaving you at high risk of getting your money drained away. It's an interesting challenge, for sure. But on Normal, a thorough search will coast you through most of it. Anyway, I've beaten the game now. I'll probably do a write-up like I do in the Gaming Diary thread in the near future. The Big Board and the domino stage were pretty fun. Although if you mess up, it can ruin your run sometimes. Received this yesterday.. Didn't have much time with it yet. Unlike what I initially intended, I took out my GBA Micro, as I went out and the Micro is more practical on the go. Played the first level while I was waiting for Totoro to start. I got some hints after skimming this thread (wanted to go in fresh, never played this game before, so I didn't read the actual experiences yet), but didn't know before this thread this was a missing link between the 2 wario games I have played: the shake dimension on Wii, and the first Wario land on Gameboy. With that I mostly mean returning back to the entrance within the time limit. Anyway, looks like a good game so far, but already expected I'd like it, that's why I voted it. Can anyone give me a rundown of the things I can / should do within a level? There are the four diamond pieces, which within the first few levels (I took the ruby path first, as that was where the cat was) weren't hard to find, they were practically on my path. But it looks like they're required for game progression? There's a disc hidden for the music test, I haven't found any of those yet. Skimming this thread also seems to confirm my suspicions you get ranked for the money you collect in a level. Is this also needed for anything? Lastly a question, what is the bar below your health? - The diamonds are required, and so is the Keyser. (That weird key creature) Make sure you get those. In terms of difficulty, the easiest passage is Emerald and then they increase in difficulty if you travel anti-clockwise, ending in Sapphire. You can do them in any order though. - The CD's are completely optional and are the toughest things to find on Normal difficulty. If you're not going for 100%, don't stress out about them. - The bar below your health is the life gauge, enemies drop small red circles when you defeat them. They fill it up. If you fill it to the max, one of your hearts gets refilled. Fill it up when you have max health, and any future red circles that drop are replaced by 100 coins instead. Finished with the best ending (I think). Extra points go to Ike for using the always beautiful GBA Micro. Due to some unpredicted holidays, I ended up interrupting my playthrough for a week. But I finished it today (final boss was way easier than I remembered). I got all the CDs, though I don't care to get all the golden crowns. I also don't seem to have unlocked Super Hard. Maybe I need the crowns to unlock it? No matter, I don't feel like playing it again right now. It's a fun game with a groovy soundtrack and memorable aesthetic. Short and sweet, and very polished. Plus, gotta love Hard Modes with some thought and effort put into it. It might be the gold crowns. Apparently, you need them in every level except Hall of Hieroglyphs. Because of an unforeseen amount of social interactions, workload and other stuff I managed to not play this at all in the past few days. Depending on how quick I am with work today I might be able to put in some time later. Really enjoyed it. Wario has this weird kind of charm that never fails to amuse me. It's also a very impressive game from a technical standpoint. Graphics are amazing for a GBA game. So I was thinking to write a Throwback Thursday article for this game as I really loved playing it again, and it brought back a lot of memories. Seeing as you all played and (mostly) enjoyed it as well, I imagined why not make this a team effort? Basically, I was thinking to either use some of your quotes from this thread (of course with permission of you), or that you could write a little piece (nothing too long, like 100-150 words) specially for the front page. Or, you can all say sod off and I will just write my own piece. I'm willing to write a paragraph or two about the game. If you do go with us writing little pieces, let me know. I'm aiming to get an article online this thursday, so if anyone wants to contribute please do! Just a small impression or a highlight of stuff that stood out for you (positive or negative), all is welcome. Nothing! Just acknowledge my existence. PLEASE ACKNOWLEDGE MY EXISTENCE! It was fun implementing all your experiences into the article, so thanks for all your input and discussing this game in the thread. I really like the idea of the N-E Video Game Club; I hope it stays active for a while! 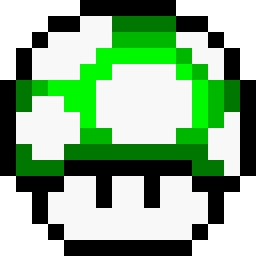 @Vileplume2000 That's a genuinely fantastic job you've done with bringing back Throwback Thursday and covering Wario Land 4 in addition to the N-E Game Club in detail. That is absolutely fantastic I love to see this synergy between forums and the main page. 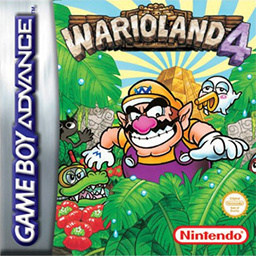 Funny thing, while I was searching for my old opinions on Wario Land 1, I came across my old opinion on Wario Land 4! At the time I wrote them, I had just played the entire game for the first time, so it was funny to see the contrast. I figured I'd post that in this thread for the sake of posterity. I mean, what kind of Wario game has health, what happened to immortality? Not to mention it goes back to more linear levels. But when I finally played it properly, I noticed there was more to it than that... I mean yeah, sure, you actually choose which levels you play first, Megaman-style (actually Mole Mania-style, but it's not like any of you played that one), but it's not that. The goalpost is far more interesting in this game, as each level is actually a separate world you are visiting. You need to get in, find the bird, set it up the bomb and escape before the timer runs out and reality collapses. That doesn't sound like interesting level design, until you notice that many levels change dramatically once you hit that switch. Even certain treasures can only be found when you're running for your dear life. Another thing of note about this game is the soundtrack, which is actually pretty good (previous games had repetitive soundtracks, but this one may as well convince you to wear headphones). In a nutshell, I was unfair to Wario Land 4 at first, but now, I think its only flaw is how short it is.